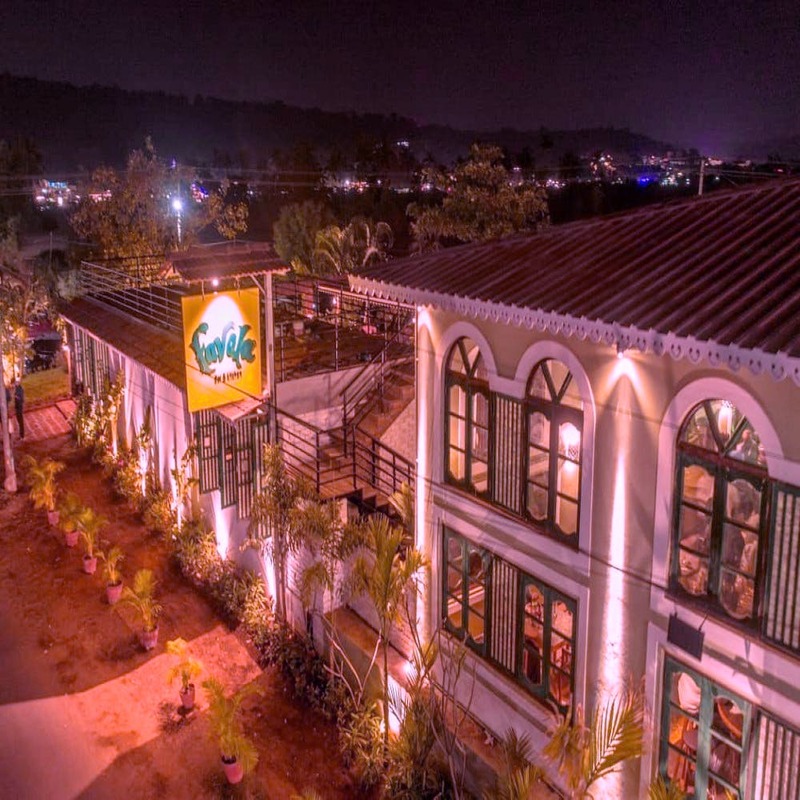 Cavala, Cohiba, Soho, Big Tap, Cantare… And now, there’s Favela Bar & Kitchen on the ever-so-popular Baga-Calangute stretch. With all the vintage feels and a rather extravagant space, it’s too big to ignore. Plus, it’s got everyone grooving to retro tunes and raving about its stellar cocktails. Since they’re a dinner place, they only cater to the after-eight (pm) hangout peeps for now. They’re open through the week post 7pm and parties often go on till about 3am. If live music is your jam, we're told Thursdays and Saturdays are the best days to go. Their food menu is in line with what we like to munch on in between tequila shots and mad Friday night dancing. Think everything between nachos, fries, kebabs, prawns, murg tangdi (hello, Delhi guys), keema cutlets and more. Yes, it’s a very populist menu but who says that’s always a bad thing? Some pasta, some paneer, a bit of Goan, a lot of Indian and seafood, makes everyone happy, right? On the alcohol front, they keep things interesting by giving their own spin to classics like Old Fashioned and Cosmo along with doing some house variations with gin, vodka, bourbon, rum or whatever your poison is. In fact, from the fanciest wine and single malts to the cheapest beer and Old Monk, their bar’s as well stocked as it gets. Favela needs no occasion. Heartbreak or no, afterparty or dinner plans, casual hangouts to dancing dates, it perfect for everyone.